IObit Uninstaller for Windows XP - a small application designed to work with installed programs. With it, you can get rid of obsolete utilities and completely uninstall them, including all the saved data. The utility is able to fully track the "paths" of installed programs and remove them from the system memory. The special function of forced deletion allows you to get rid of even those applications that are in a running state. To avoid critical changes, users can back up data before making important decisions. 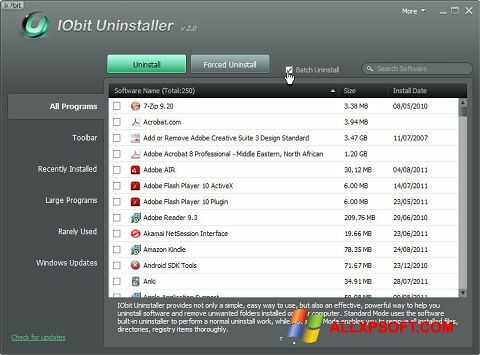 You can free download IObit Uninstaller official latest version for Windows XP in English.